UCO BANK Net Banking Registration: If you are UCO Bank customer and want to activate or register for net banking facility online then here is complete UCO bank Internet banking online registration procedure. Government owned public sector UCO Bank provides net banking and mobile banking facility to customers. You can enable both facilities online and no need to visit bank. With net banking facility customers can easily access their bank account online and complete many bank related tasks. You can view account balance and statement, transfer money to another bank account, order new Cheque Book, manage your atm card and much more. To enable net banking online, make sure your mobile number is registered with account, have active ATM Debit card with pin. 1: Visit UCO Net banking page and click on New Registration. 2: Now enter your Account number and last transaction amount whatever you have done credit or debit. Enter last transaction amount and select credit or debit. Accept terms & conditions and submit. 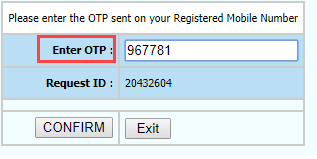 3: Next screen you need to enter One Time Password which received on your registered mobile number, enter OTP and click on confirm. 4: Now enter your ATM Debit card details like card number, ATM PIN and expiry date & submit. 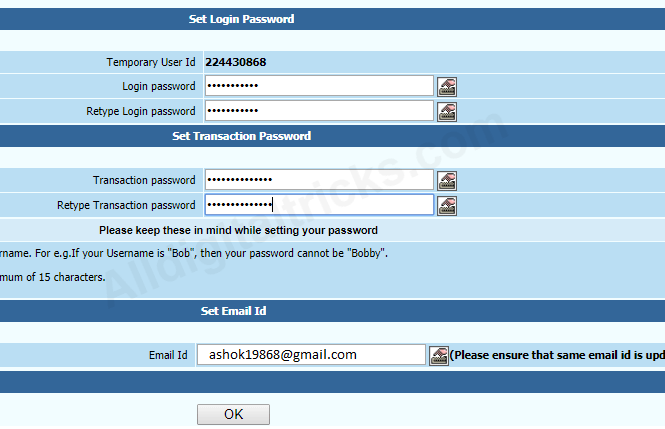 5: And finally set login password, transaction password and enter your registered email address. After submitting all above details, a temporary User ID will be generated. Note this temporary User ID. You need to change this User ID after login. Wait for 24 hours for net banking activation. 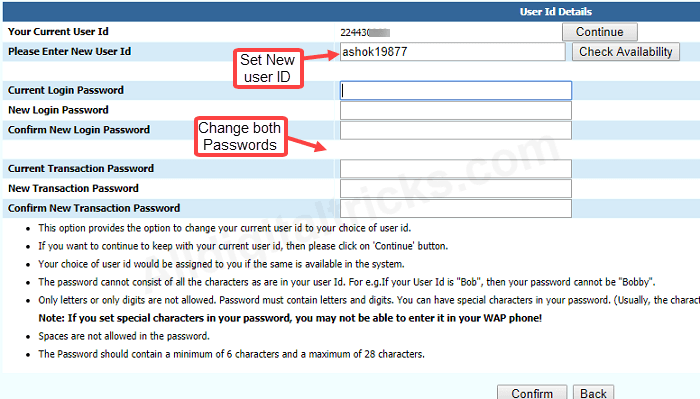 When your temporary User ID will be activated, you can login with it and change it with own User ID. 6: After User ID activation, open UCO net banking login page and enter temporary User ID and login password & click login. 7: And in final step, set your new own choice User ID. Also set your new login password and transaction password. Enter current passwords and set new one. Done! your UCO Bank net banking is now ready to use. You can login with your new User ID and login password. 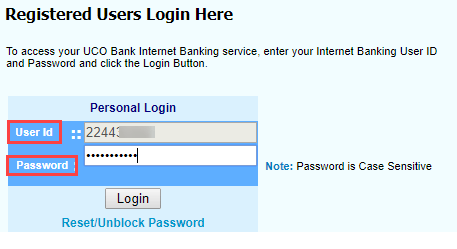 So this is how UCO bank customer can activate Internet banking facility without any bank visit. This facility available for all customers free of cost.